We are very good at the extraordinary! Available on all outdoor and indoor activities, we can offer a group discount of 10% when there are 12 or more in a group. For School, Scout, military or corporate bookings you can request to secure your bookings with a 50% deposit, paying the final balance 14 days before the event date. We are happy to invoice and take payment via BACS, cheque or credit card. You can combine indoor and outdoor activities to form our all-day pass, we can include lunch or even afternoon snacks! Or if your requirements are more specific, we can even create a tailor-made package to suit your individual requirements… at Honister we aim to make your day a memorable adventure! We can offer a wide range of corporate activities to suit differing levels of ability. Our activities can range from the adrenaline packed via ferrata xtreme to our more relaxed mine tour for those happier with their feet on the ground. We believe team building is all about strategy, stamina, nerve and most importantly teamwork. Our location provides us with the perfect environment to stretch peoples mental as well as physical abilities – all in a fun location. 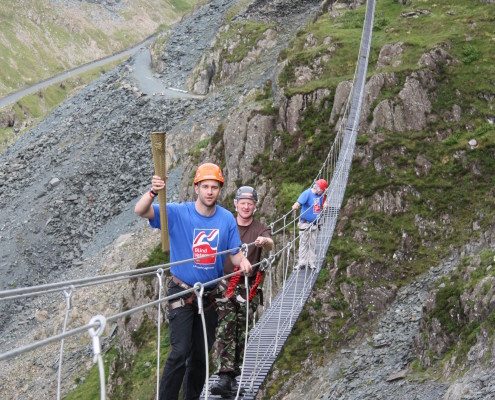 Corporate groups such as Local farmers, Honister’s Air Force and Honister’s security team have participated in a range of activities as part of their annual corporate development scheme. We can do very small -e.g. small local business team building to very large e.g. 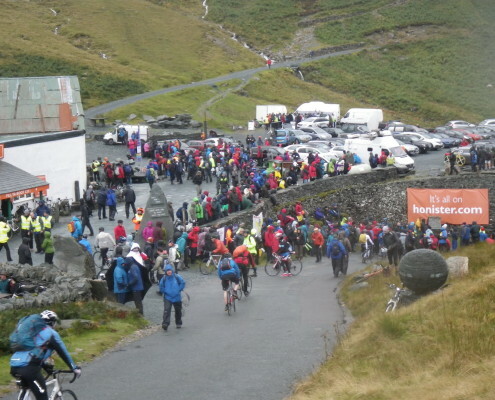 tour of Britain, and we would be happy to discuss any corporate/group requirements and the costs of packages with you. Please email direct to bookings@honister.com to discuss the details of your visit. Scouts, schools, military and businesses may request to pay for their booking via vat invoice where a 50% (non-refundable) deposit is due immediately upon booking. Final payment must be received no later than 14 days before the activity where final numbers must be confirmed. 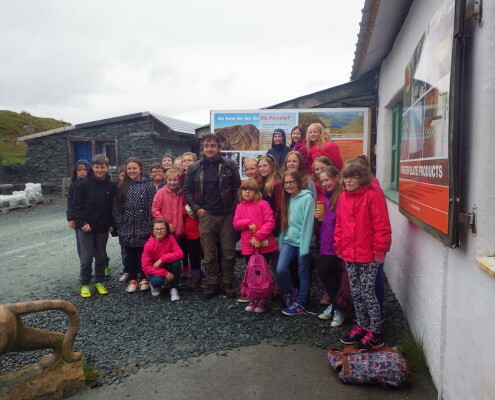 Changes to bookings for groups, can only be amended 14 days before the activity, this must be sent in email to bookings@honister.com – alteration requests made over the phone will not be accepted. All changes are subject to a £10.00 admin fee. If you wish to completely change the date for the whole group, a £10 per admin fee will be charged. If a member of the group drops out/cancels, you must inform us via email of any cancellations immediately, if the cancellation is 14 days or more before your booked activity, you will receive a gift voucher to the value of the individual, valid for 12 months from the date of issue. If places are cancelled and the numbers dropping affects the discount, then the activity will be repriced and the customer due to pay the further charges.